Individuals,staff & guardians doing fun things together! Here’s where you’ll see what our individuals enjoy doing in their leisure time. Some activities are one-on-one or in small groups with staff. Some include larger groups with guardians and staff. Others include all of the individuals, their families/guardians and all staff and administration. Take a closer look at what’s happening with us! 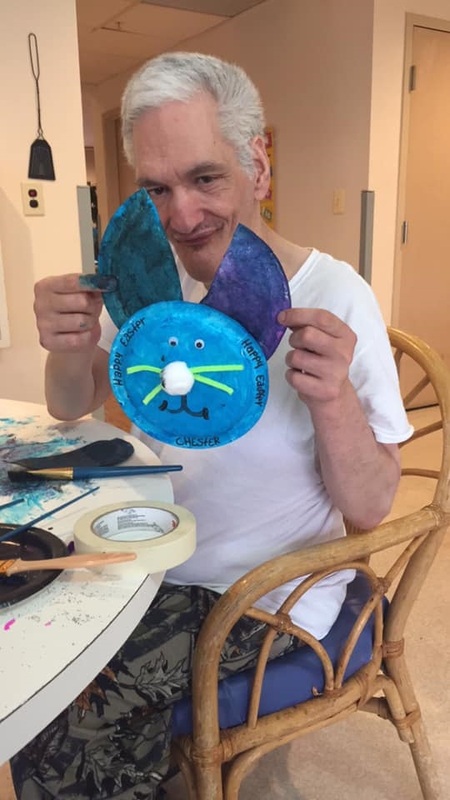 Brooke, a DSP at one of our Mason homes, helped the folks start to prepare for Easter with this fun and creative craft. Great job Chester, we are loving your blue bunny! 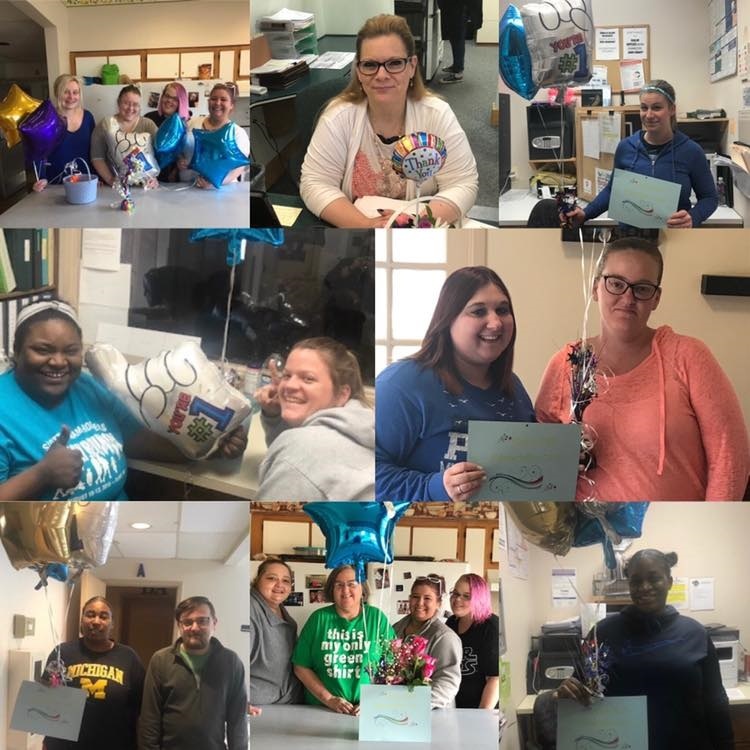 Enjoy these pics of some of our team members on Staff Appreciation Day! The ladies at our Preble county location have been very creative lately. Here they are pictured with TSA Cortnee and the Quote Boards they created. Beautiful work Heather, Tiffany, Lela, Margie, Lyndsey, Sabrina, Elissa and Debbie! 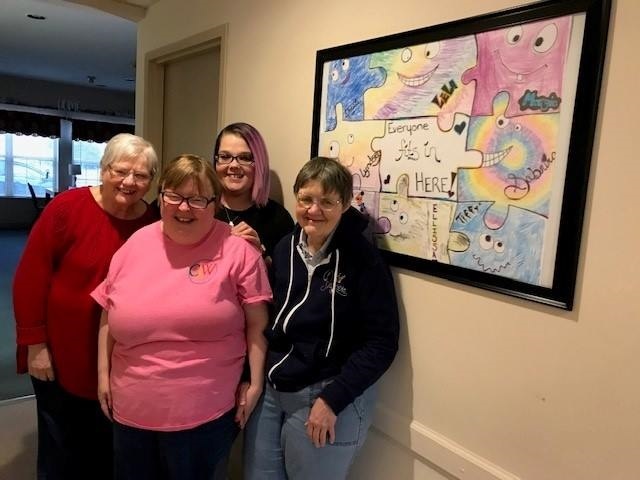 One of our awesome Direct Support Professionals, Amanda worked with some of our Preble County residents to create this artwork for their home. 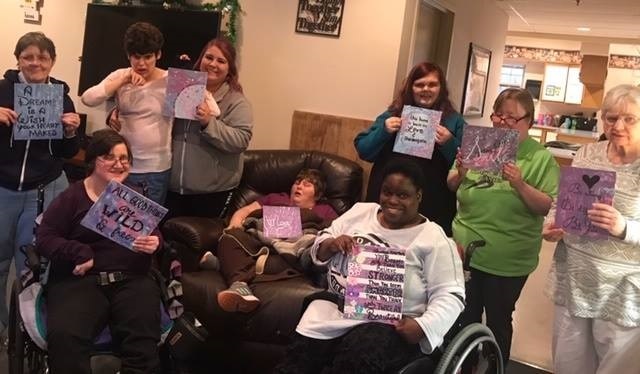 Pictured with Amanda are Elissa, Debbie and Margie, and together they all complete the puzzle!